Synopsis: Frank is the withdrawn owner of a mannequin store, but his life changes when young artist Anna appears asking for his help with her new exhibition. As their friendship develops and Frank’s obsession escalates, it becomes clear that she has unleashed a long-repressed compulsion to stalk and kill. 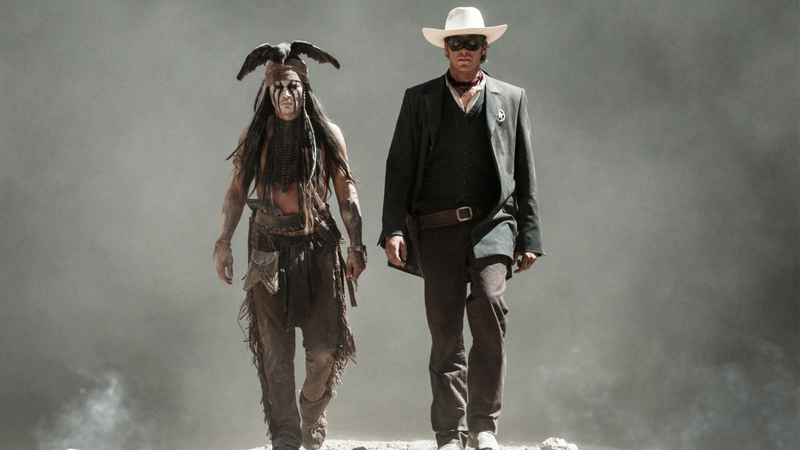 The remake or “reboot” has become the norm in the horror movie world. Sometimes, the new version will bring a fresh interpretation to the table, such as the recent retelling of The Evil Dead. Other times, audiences will be subjected to a tedious shot-by-shot replication, as in Gus Van Sant’s Psycho. Once in a blue moon, however, something really special is offered up. Maniac is that something special. Maniac stars Elijah Wood (Frodo from the Lord of the Rings movies) as Frank Zito, a young mannequin shop owner with an unhealthy obsession with the memory of his dead, neglectful mother. To ease his troubled mind, Frank trolls dating websites and singles bars to meet young women. Once he finds them, he stalks them, murders them, and takes their scalp as a trophy. Back at home, he staples the scalp to a mannequin and dresses it to look like the victim, surrounding himself with his past conquests. 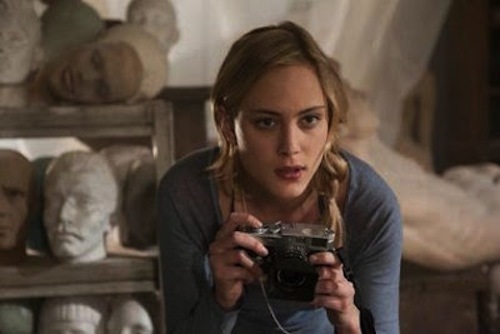 He seems to meet his emotional match when he sees a young artistic photographer named Anna (Safe House‘s Nora Arnezeder) snapping pictures of his mannequins. She asks to borrow a few of his dummies for a show, and his agreement sparks a friendship between the two. However, Frank and Anna are not on the same page in regards to their intentions towards each other, and Frank’s homicidal instincts continue to bubble just below the surface. Director Franck Khalfoun’s Maniac is a fairly faithful retelling of William Lustig’s 1980 masterpiece of the slasher genre. The film is a breath of fresh air in the stale environment of horror remakes because of its unique presentation; the story is not only told from the point of view of the killer, it is shown through his eyes. Screenwriters Alexandre Aja and Gregory Levaseur (the same team who, along with Khalfoun, made High Tension and P2) have updated the storyline and added a more sympathetic angle towards the killer. It’s a formula that works incredibly well; the audience simultaneously relates to and is terrified by the killer. At first, it may seem that Elijah Wood is a curious choice to play the villain in a horror movie; much like Daniel Radcliffe IS Harry Potter, Wood IS Frodo Baggins. Also like Radcliffe, Wood is finding his way out from under the role that has defined him for most of his career. Wood plays crazy very well, as evidenced by his role on FX’s “Wilfred,” and his turn as Frank Zito finds him turning the insanity up a notch. The unique perspective of the film only shows Wood’s face a handful of times, usually in reflections and dream sequences – the sole exception has him seemingly going out of his body to witness one of his murders, a scene which ends in a tribute to the original film’s iconic movie poster. Although there is no strict voiceover narration, Wood’s speech and hand movements function as somewhat of a “tour guide” through his tortured life. Maniac shows a different side of Elijah Wood, one that will not soon be forgotten. Oh, and Maniac is extremely violent – and not the eighties campy slasher movie violent, but the more modern, Hostel-esque violent. Seeing the murders through Frank’s eyes only emphasizes the shock value. Maniac is brutal, disgusting, and disturbing. And you’ll want to watch it again. The musical score for Maniac is provided by a French composer who goes by the singular name of Rob (Belle Epine, Populaire). The soundtrack is an electronic music ode to the horror movies of the eighties; it’s haunting, suspenseful, and tense. The music really does sound like it came right out of a golden age slasher film, with a vintage sound that harkens right back to the original film. Almost exclusively synthesized and artificial, Rob still manages to inject heart and soul into the computerized compositions. Although it’s the one element of the film that does not occur in Frank’s head, Rob’s music stands on its own yet does not distract from what the viewer is seeing. It’s a classic horror movie score. Franck Khalfoun’s vision in Maniac is admirable; taking what is generally regarded as a classic film and turning it on its ear takes guts. Khalfoun keeps the general storyline and theme of the original film, but completely changes the approach. Khalfoun and his longtime cinematographer, Maxime Alexandre (The Crazies, Mirrors), let the camera narrate the film from the first-person perspective. Along for the ride instead of just assuming the role of passive observer, the viewer feels all of Frank’s emotions – the fear, the arousal, the rage – that make him do the things that he does. The audience also sees his dreams, nightmares, and hallucinations. The camera work is purposely disorienting, and the addition of ear ringing on the soundtrack and tasteful blurring of the image really puts the viewer into Frank’s head, allowing them to experience what Frank is experiencing. Maniac literally puts the audience into the psychopath’s head. The big challenge to making a film like Maniac is getting the actors to interact with the camera in the same way that they would interact with another actor. Khalfoun works as a team with Alexandre and Wood to bring Frank to life, and the other characters make and break eye contact with the camera, dance around the camera, even caress and strike out at the camera. Somehow, Khalfoun gets his actors to treat his camera eye as a real person, and that goes a long way towards the effectiveness of Maniac. Like Lustig’s original film, Maniac makes no secret about the identity of the killer. Frank is the focal point of the film, and the story revolves around him in the same way that American Psycho revolves around Patrick Bateman. Since the element of surprise is stripped away, the film relies on creep-outs and gross-outs in order to horrify its audience. Wood’s performance is nothing short of perverse; he takes the mild mannered psychopath to new heights. The graphic violence that is shown onscreen is cringe-worthy. Frank’s first kill involves him shoving a buck knife into a woman’s skull through her jaw. Another scene has him pulling off the old slasher stereotype of hiding under a car and slicing the Achilles tendon of a victim, forcing her to fall helplessly to the street. Maniac is full of shocking moments like these and, while they may not be startling, it’s almost better that they aren’t; the audience knows what’s coming, but can’t look away. The suspense is skin crawling.